Summary and Definition: The Revenue Act of 1924 was part of the Mellon Plan to lower tax rates and established the U.S. Board of Tax Appeals. It was called "An Act To reduce and equalize taxation, to provide revenue, and for other purposes." The bill was introduced by Andrew Mellon as Secretary of the Treasury during the Republican administration of Calvin Coolidge. The bill introduced tax cuts but included a gift tax for the wealthy. It also introduced the U.S. Board of Tax Appeals and a clause allowing for publicity of individual income tax information. Calvin Coolidge was the 30th American President who served in office from August 2, 1923 to March 4, 1929. One of the important events during his presidency was the Revenue Act of 1924. The following fact sheet contains interesting facts and information on Revenue Act of 1924 for kids. Revenue Act of 1924 Fact 1: The bill introduced a gift tax to address the issue of wealthy individuals avoiding inheritance tax, estate tax invoked at death, by transferring wealth during their lifetimes. Due to strong opposition this was revoked in the 1926 Revenue Act. Revenue Act of 1924 Fact 2: The law allowed for publicity of individual income tax information. This allowed major newspapers to publish lists of names, addresses and tax payments in publications. Revenue Act of 1924 Fact 3: The Board of Tax Appeals was created by the Revenue Act of 1924. The Tax Court specialized in adjudicating disputes over federal income tax. Revenue Act of 1924 Fact 4: U.S. Board of Tax Appeals was initially established as an "independent agency in the executive branch of the government. The U.S. Board of Tax Appeals originally had 16 members, with Charles D. Hamel serving as the first Chairman. Revenue Act of 1924 Fact 5: The law reduced the 73% federal income tax to 40% and reduced the 4% federal income tax paid by the majority of tax payers. Revenue Act of 1924 Fact 6: By 1928 the majority of tax payers were paying ½% federal income tax and wealthy Americans were paying 25%. 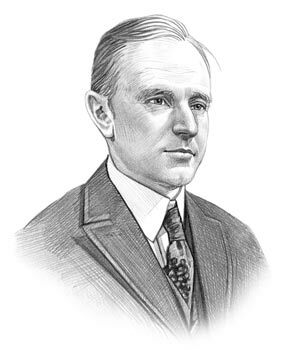 Revenue Act of 1924 Fact 7: The 1920s were a golden age for tax cuts initiated as part of the Mellon Plan. The tax laws put more money into the hands of the consumers by lowering the federal income tax. Revenue Act of 1924 Fact 8: However, the tax cuts contributed to the rampant spending trend of consumers, which in turn led to over production of goods, which in turn led to the 1929 Wall Street Crash. Revenue Act of 1924 Fact 9: For additional interesting facts and information refer to the Economic Boom of the 1920's and Consumerism in the 1920's. The article on the Revenue Act of 1924 provides detailed facts and a summary of one of the important events during his presidential term in office. The following Calvin Coolidge video will give you additional important facts and dates about the political events experienced by the 30th American President whose presidency spanned from August 2, 1923 to March 4, 1929.